Avail from us Stainless Steel Pedal Dustbin that is made from SS 202 Grade and exhibits matt finish. 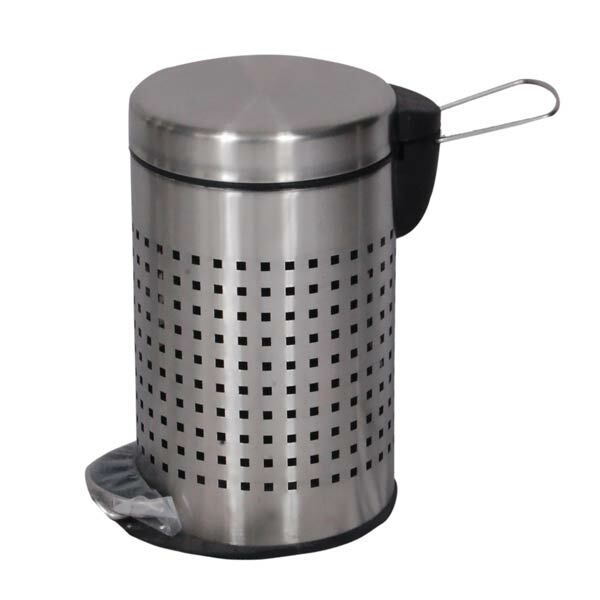 The open perforated Stainless Steel Pedal Dustbin features Foot Pedal with Plastic Bucket. Kc Green Revolution Private Limited produces world class steel dustbins in different shapes & designs such as SS dustbins Swing Lid, Ash Can Lid, 23 Hole Lid, Push Can, Pedal Bin, Open Bins, Work Station Bins, Perforated Bins and Non-Perforated Bins. Our Stainless Steel Pedal Dustbins are supplied all over India and mainly exported to UK, USA, Dubai and European markets.